Elizabeth Smith is a native of Asheville, North Carolina. She is a Virginia community college French and Spanish professor turned California wine industry professional turned relationship manager in the financial sector. Her professional experience includes relationship management, direct-to-consumer sales, freelance writing, social media marketing, travel management, and community college education. Elizabeth holds a doctoral degree in community college and foreign language education from George Mason University, master’s and bachelor’s degrees in French from The University of Tennessee – Knoxville and Western Carolina University, and Wine & Spirit Education Trust’s advanced wine certification. Elizabeth won the 2017 Born Digital Wine Award for Best Tourism Content with a Focus on Wine for her piece entitled, Lodi: Beyond the Zinfandel. As a previous winner, she served as a judge for the 2018 Born Digital Wine Awards. Elizabeth’s passions include travel, tourism, craft beverages, food, and fitness. She is always on the move to new destinations and loves discovering inspirational stories and places to share. I welcome product samples and travel opportunities. If you wish for me to accept samples or disseminate information, please contact me in advance of sending to discuss. I will identify the source of any samples received and reviewed. A sample may be shared via one of my social media platforms instead of this website. Acceptance of a sample does not guarantee a review. I actually like your writing style, great details, thankyou for posting : D.
I am writing from an Agriturismo (Vacation Farm), Il Poggiarello, which sits in the middle of our Vineyard, Muralia, in the still largely undiscovered area know as the Maremma in southern Tuscany. If you are interested in booking vacations for your clients with us lets get a conversation going. You can check our our web site at http://www.ilpoggiarello.it and http://www.muralia.it. Thank you for the information! I will be in touch if any of my clients want to travel to Italy! I’m still learning from you, while I’m improving myself. I definitely love reading everything that is written on your site.Keep the aarticles coming. I loved it! TWC: Now that you have that NC wine taste going you will understand why we started North Carolina Wine Gifts. We have wonderful award winning wines in NC. It is said that NC is on the tipping point for wine lovers to discover what we have here. Have fun and CHEERS from NC Wine Gifts. I’ve been to three NC wineries now: Biltmore, Brushy Mountain, and Childress. Hopefully I can visit more NC as well as VA wineries (I’m behind there, too!) Cheers! Hi Beth, I’d love to know what online course you are taking. WSET Level 2 Intermediate in Wine and Spirits. The course is online and the exam is in person. For more info, visit http://www.wsetglobal.com. I’m Jane and am an avid reader and blogger, a passion which I think we share. I’ve been writing contents on the web professionally since 2010. I share my experience through articles on Travel, Culture, Lifestyle, Health and many more. Your blog “travelingwinechick.com” is probably one of the most interesting ones I’ve seen recently and with due reason. I was wondering if I could do a guest post for your blog. I would like to write on “5 Ultimate Destinations to Explore in Turkey” or any other suggested topic for your blog. Beth, I enjoyed reading your blog. I also enjoy Anderson’s Conn Valley wines. Awesome! Thank you for commenting and following! Cheers! What an awesome blog Beth! 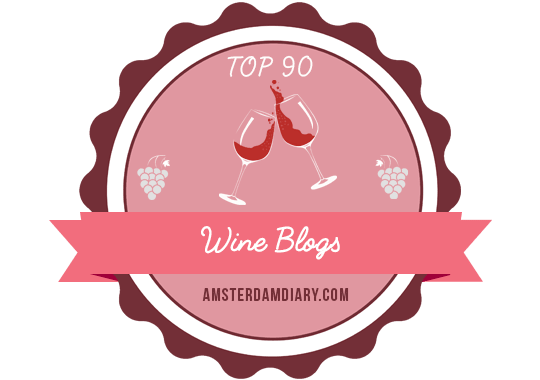 I love wine bloggers! One of my favorite connections is Conrad from the Wine Wankers! Thank you for taking the time to drop by my new homepage recently! I appreciate your support there! Thank you so much for your kind words and for stopping by as well! Cheers! Love your blog! Your personality comes through. So nice to see people blogging about wine without sounding pretentious.